Best Rate Guaranteed for Direct Bookings! Call +61 7 5492 8989 or join our VIP Club to receive special offers. 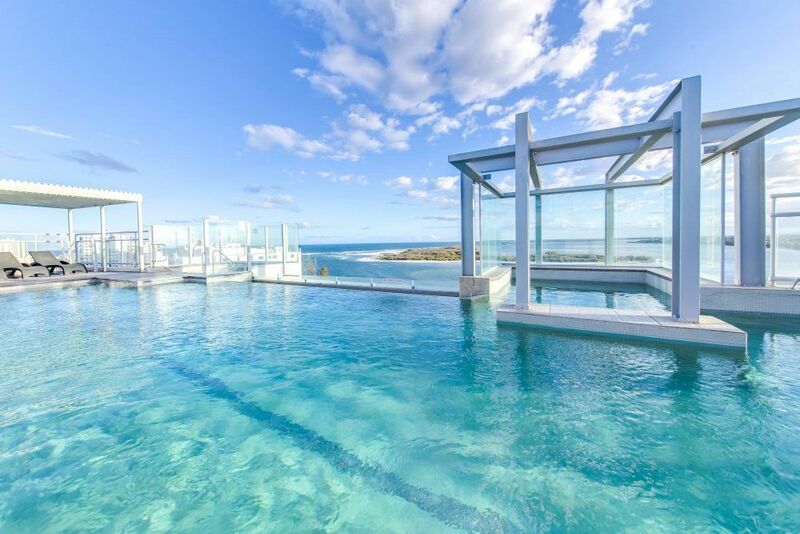 Pumicestone Blue holiday-makers have privileged access to the 12th level rooftop sun terrace via two high-speed elevators. 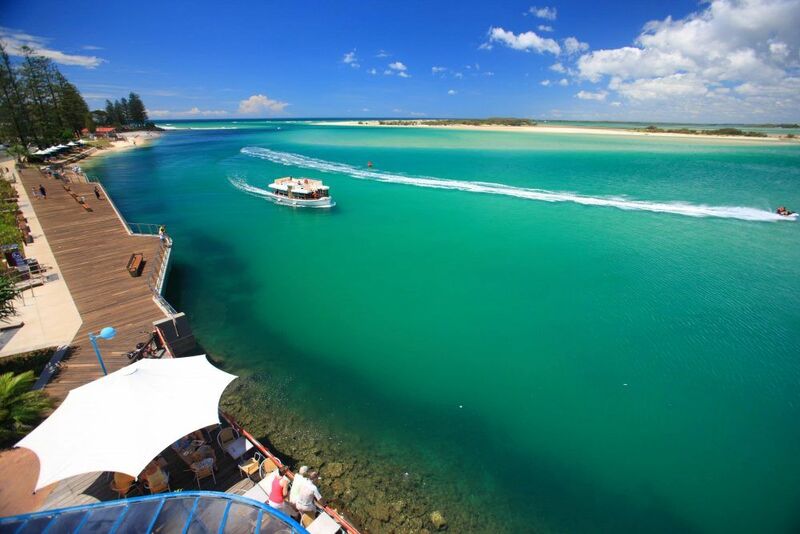 From there, you’ll enjoy glorious 360 degree views that encompass the Pumicestone Passage, Bribie Island, Pacific Ocean and the Glass House Mountains. Our large rooftop pool runs at 28 degrees and the rooftop spa which is set at 38 degrees all year round will offer welcome respite from your regular morning dip. 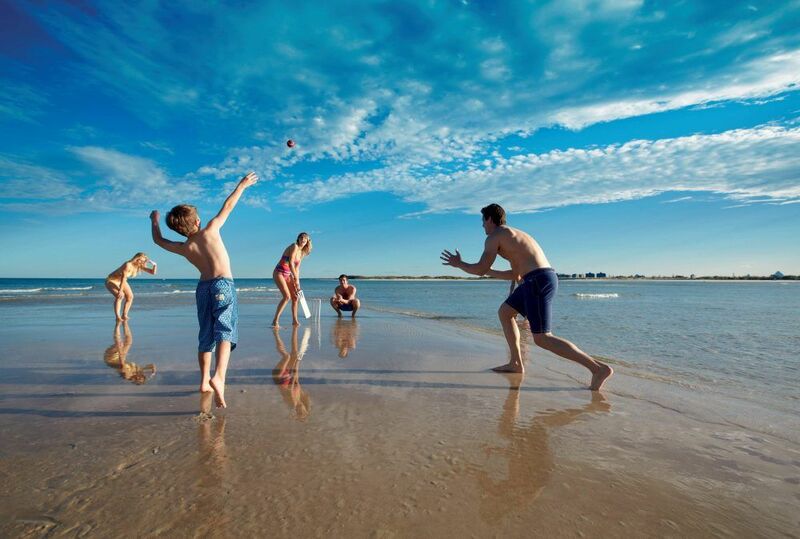 Watch the sun set over the Glasshouse Mountains or a ship passing by in the ocean. The barbecues and sun deck areas will be a focal point for lazy afternoon gatherings and special occasions. These are 2 separate covered BBQ areas on the rooftop with large tables and chairs for your comfort. 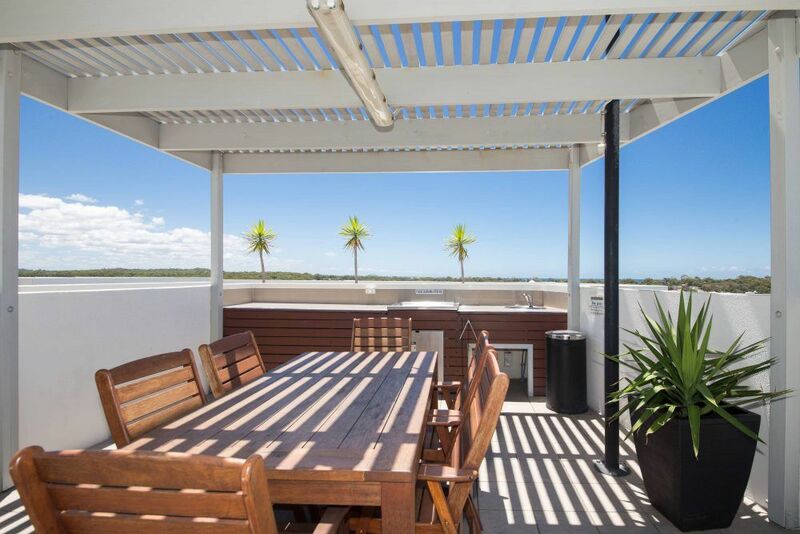 Just imagine being able to relax on our rooftop with maybe friends & a drink while you take in one of the best views in Caloundra! We really enjoyed our stay over Easter, loved our apartment. We had view of mountains and Pumicestone passage. Lovely and comfortable. Rooftop pool and spa was great. We loved the location, did not need the car at all. Wanted to stay longer. Will definitely come back, thank you Margaret and Tony. 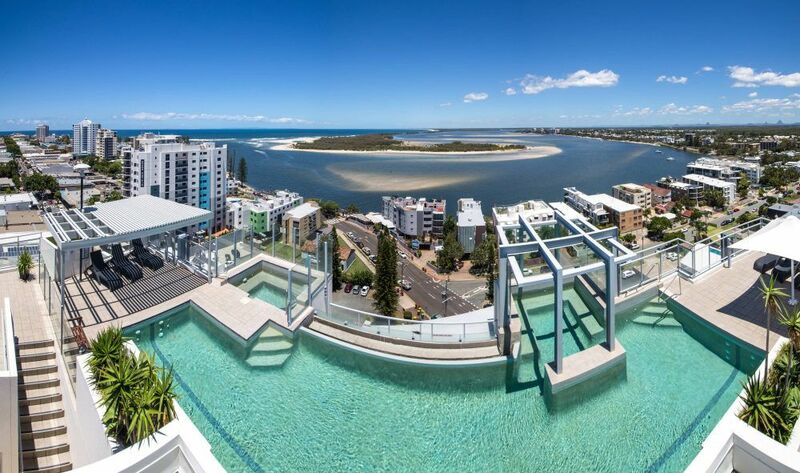 Pumicestone Blue Caloundra Resort is the first landmark holiday building you see as you enter Caloundra’s CBD. 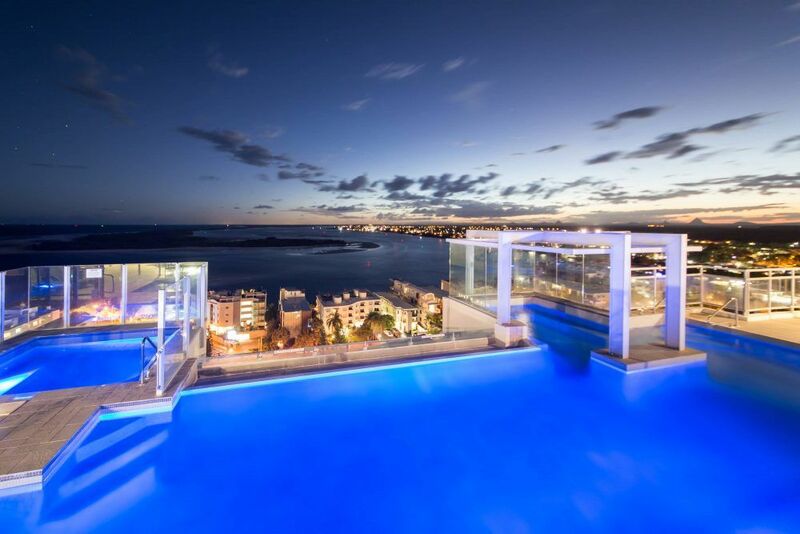 A first class location overlooking Pumicestone Passage and Bribie Island. 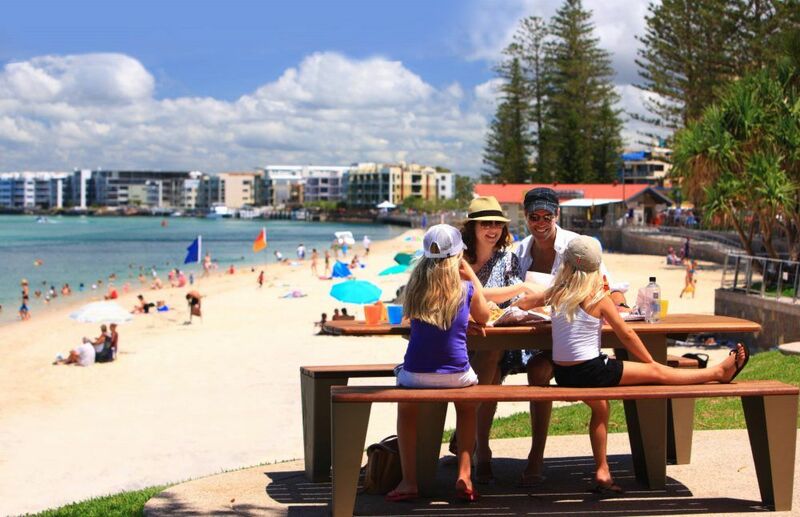 Increasing numbers of people are being drawn to Caloundra’s pristine surf and calm water beaches, the beautiful Pumicestone Passage with its plethora of fishing and water activities, and the area’s infinite riches of leisure and dining activities. Pumicestone Blue is located in the centre of Caloundra’s main shopping precinct. 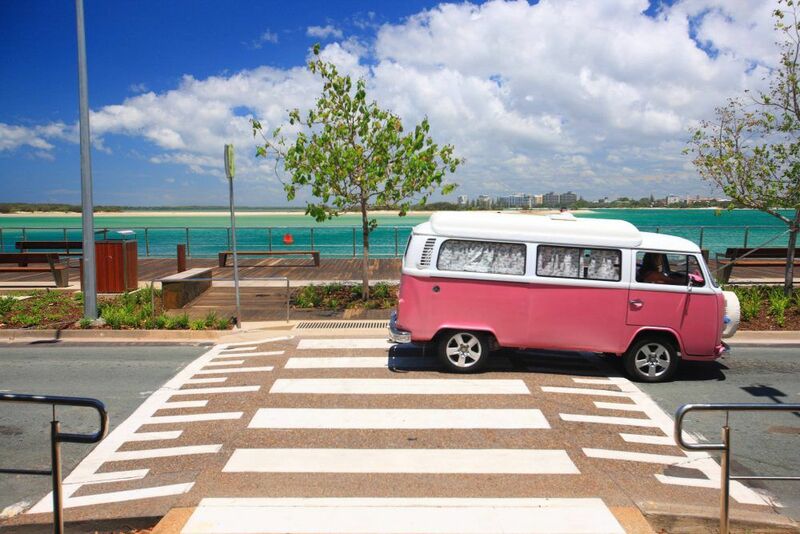 The cafes, restaurants, hotels, clubs and great boutiques are all on our doorstep and easy walking distance.